symmedia SP/1 is the machine operator's window to the machine manufacturer's services, his service portal. Here he can find current information on the machine status, ask for online support in the event of machine malfunctions via a Service Request and, of course, also purchase the service products of the machine manufacturer: Maintenances, updates, online inspections and of course spare parts. symmedia SP/1 Parts is the manufacturer's spare parts shop and virtual sales shelf directly in the operator's factory. 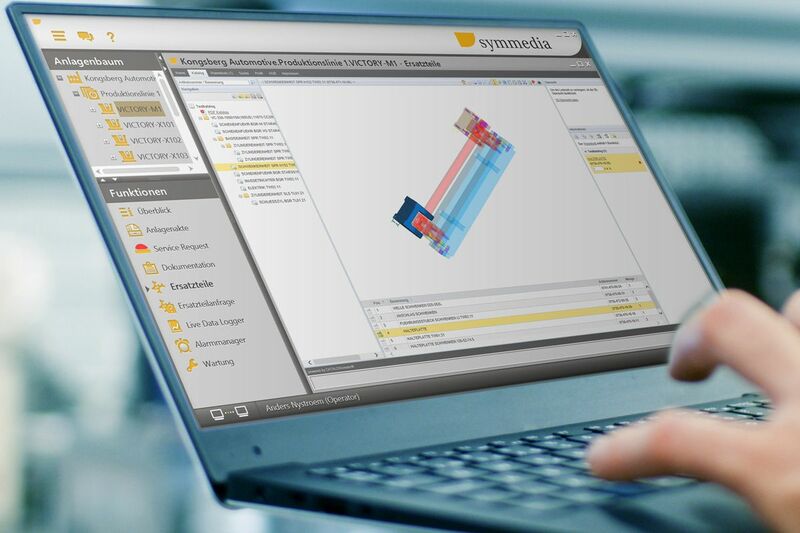 With symmedia SP/1 Parts, B2B ordering processes can be mapped digitally. If required, a shopping basket can be generated, transmitted to the manufacturer and an offer prepared. This offer can then be ordered, for example, from the operator's purchasing department. Machine manufacturers who manage their spare parts with an ERP system can also use the symmedia SP/1 Parts module to provide prices and availability of spare parts, submit offers, process entire orders and later provide the customer with order tracking. The ordering process with symmedia SP/1 Parts is transparent for everyone involved at all times. The status of the order is displayed in the ticket system to the manufacturing company. In addition, all relevant documents are available digitally. Spare parts, wearing parts, operating equipment and accessories are ordered directly at the machine at the push of a button. 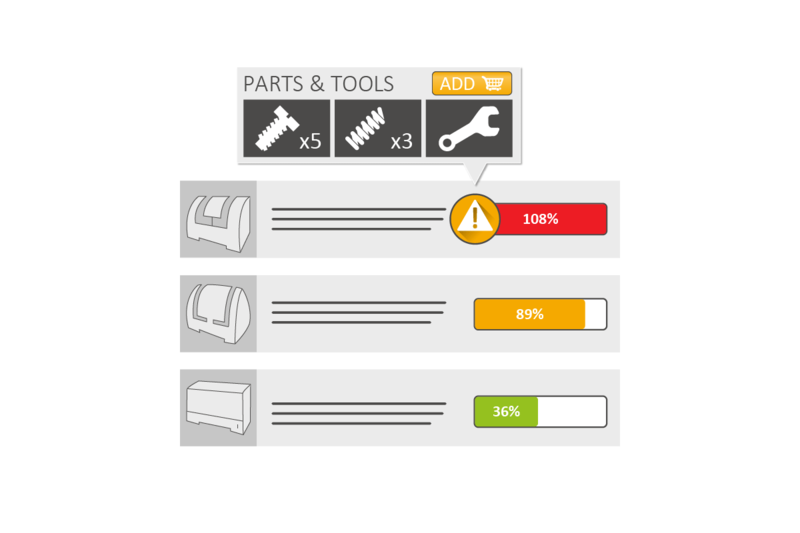 The individual machine-specific spare parts lists allow parts to be quickly identified and placed directly in the digital shopping basket. Machine data is continuously searched for spare parts requirements, a shopping basket is automatically generated and offered for purchase. 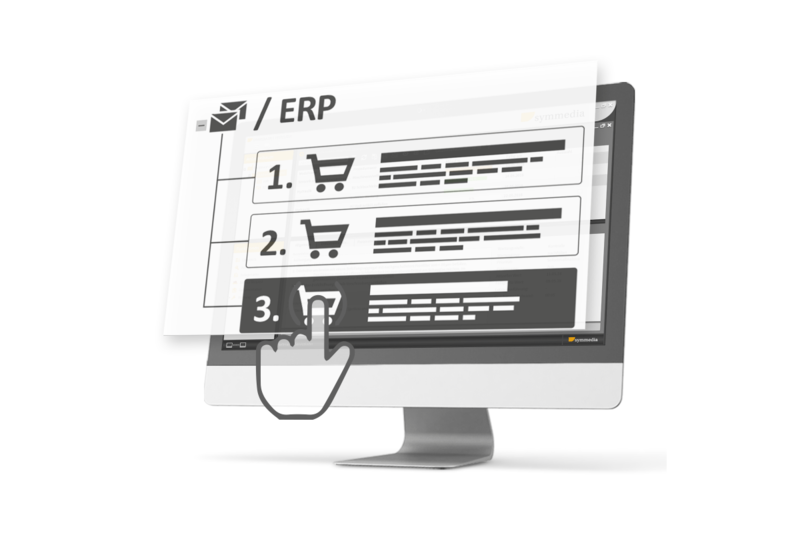 Order automation through ERP connection: from quotation request to availability, quotation creation and ordering to delivery. In the symmedia SP/1 Customer Cockpit on the side of the production company, required spare and wear parts are identified on the basis of machine-specific parts lists, 2D or 3D drawings and a shopping basket is compiled. At the push of a button, this is requested directly from the machine manufacturer. From this moment on, the request for quotation contains all relevant information for processing the order and makes it available via the ticket system: from the name of the inquirer from the operator, the processor at the manufacturer to the quotation and shipping information of the order. When the manufacturer receives the Parts Request, he transmits a corresponding offer to the operator. Comment fields are available for internal or external communication. All activities relating to a Parts Request are stored in the facility log and can be called up there at any time. Depending on the possibilities of the manufacturer ERP, the offer can be generated automatically by the ERP or created and sent manually by an employee. Once the offer is available, the producing company can transmit the order directly via symmedia SP/1 Parts or its own ERP (or eProcurement System). This completes the Parts Request and removes it from the local request list. Completed Parts Requests are available in the facility log. The Parts Agent is the manufacturer's digital salesperson directly at the machine. It is delivered with the maintenance manager and continuously scans the collected machine data for information on parts requirements. 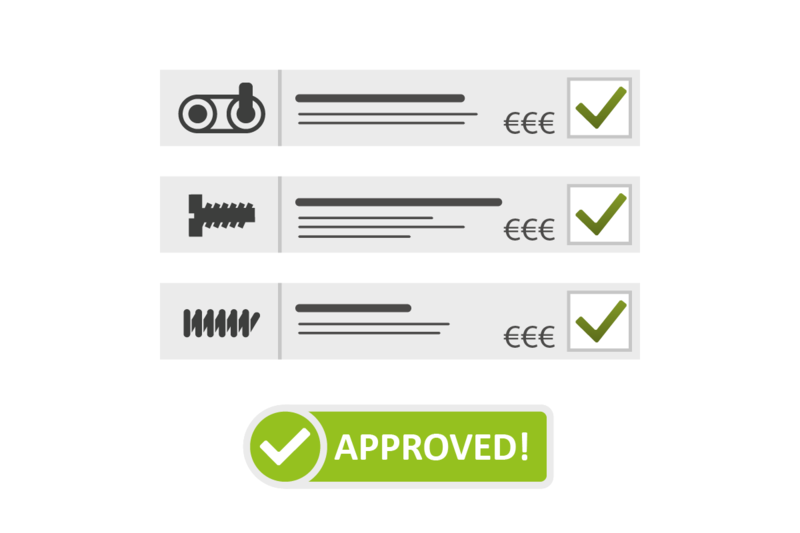 Once the Parts Agent has identified a requirement, it provides the operator with an order proposal: convenient, needs-oriented and exactly at the right time.